‘The Transition’ measures 24×17 inches on rich cream cotton rag. 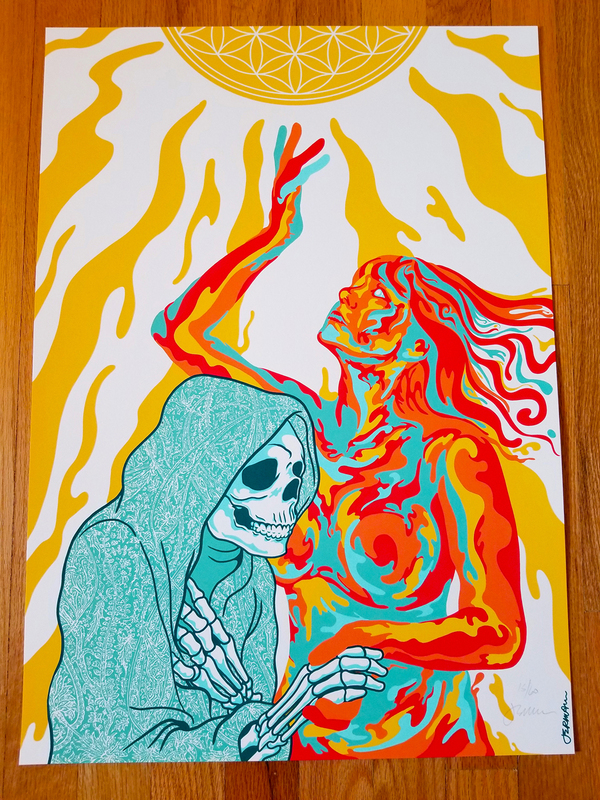 This 7-color print utilizes rich inks, meticulously screen printed by the talented hands of Lady Lazarus Press. ‘The Transition’ measures 24×17 inches on holographic Lava Foil specialty stock. From a limited signed and numbered edition of only 30 pieces.